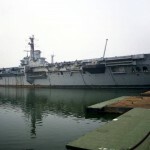 Today in Gosport’s Past:- on 10 April 1984, the aircraft carrier HMS “Bulwark” (R08) left Portsmouth harbour for the last time, under tow en route to a scrapyard in Cairn ryan (Scotland). 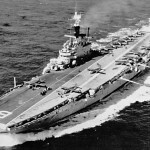 The carrier was the 4th Royal Navy ship to actually CARRY the name, although a further two, both planned to be named HMS “Bulwark”, were cancelled. 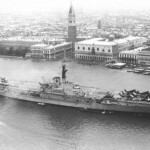 She was ordered on 17 April 1943 as a ‘Centaur’ class aircraft carrier of some 22,00 tonnes, laid down on 10th May 1945 (two days after VE day), and launched on 22 June 1948. She didn’t recieve her first commission until 4 November 1954 – over ten years after being launched. 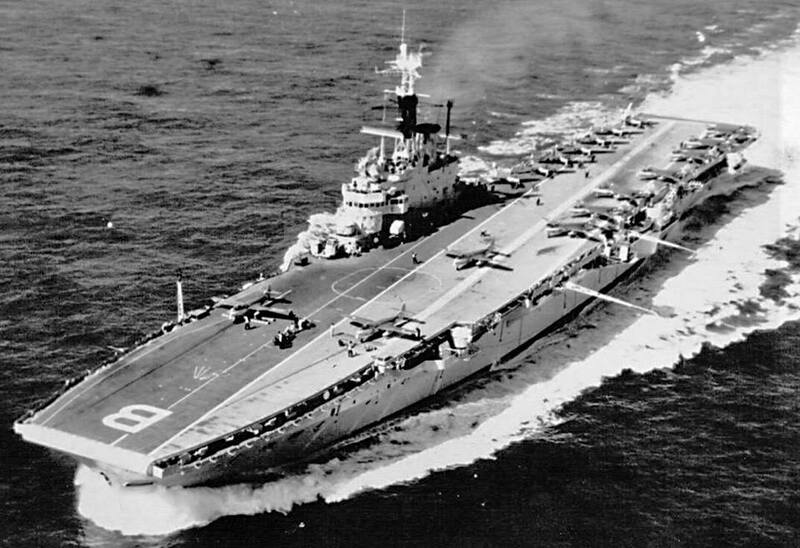 Her first operation was during the 1956 Suez crisis, launching around 600 aircraft sorties as part of ‘Operation Musketeer’. 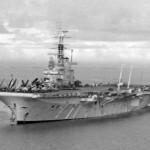 she was paid off in 1958 for convertion to a commando carrier at Portsmouth, as was her sister ship “Albion” in 1961. 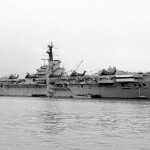 “Bulwark” was recommissioned as such in 1960, and 42 Commando Royal Marines, and 848 Squadron were attached to the ship. In 1961 she landed 42 Commando in Kuwait, owing to the threat of invasion by Iraq. 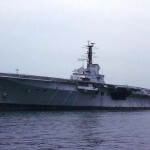 She was recommissioned in Singapore later that year, and again at Singapore in 1967, replacing HMS “Albion” in Aden shortly afterwards. By now, she had acquired the nickname ‘The Rusty B’, and it stuck. After a spell on excercises in the Arctic with 45 Commando in 1968, she returned to Portsmouth to go into dry dock; her crew used HMS “Centaur” as an accomodation ship for the duration. Much of 1969 was spent in the Mediterranean, visiting a number of ports, returning to Devonport later in the year for decommissioning. From january 1970, she visited Gibraltar, Cape Town, Gan, and Brunei on her way to Singapore; thence to Kobe (Japan) for Expo 70, Hong Kong, Jakarta, and Perth (Australia), then returning to Plymouth. 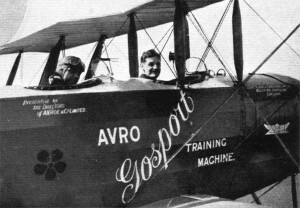 In 1972, she was the headquarters for ‘Operation Exit’, the withdrawal of British servicemen from Malta, flying more than 1000 missions; later in the year she was involved in excercises in the Caribbean, visiting Florida. On her return to Plymouth, all surplus fuel was pumped off into accompanying RFA tankers in readiness for another spell in dry dock at Devonport. 1973 saw service in the Caribbean, then to the Mediterranean, where she visited Malta, Piraeus, Istanbul, and Travemünde (the port of Lubeck). 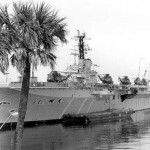 Early in 1974 she was in the Dutch Caribbean, visiting Cartagena (Colombia), then to the Eastern Atlantic, suffering storm damage which required a refit in Devonport. 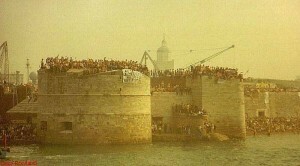 She again visited the Mediterranean in 1975, returning to her home port of Devonport. 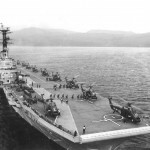 HMS “Bulwark” was withdrawn from service in March 1976 and placed in reserve, during which time she was offered for sale to the Peruvian Navy. 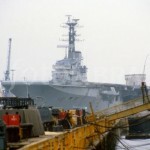 This didn’t take place; after two years of negotiations, the Royal Navy made the decision to hang onto the ship; she was given a refit at Portsmouth in 1978, and on 23 February 1979 was recommissioned as an Anti-Submarine Warfare Carrier. Further operations included visiting the USA and excercises off Norway; two separate fires had caused considerable damage at these last two locations, and upon her return to Portsmouth on 27 March 1981, no repairs took place; she remained at Portsmouth, and it was planned to send her to the Falklands, but she was found to be in a rather deteriorated condition, besides the fire damage, which had destroyed one of her boilers. She was up for disposal in April 1983, and just one year later left under tow for scrap in Scotland. Almost 40 years of service, and an extremely well-travelled ship. 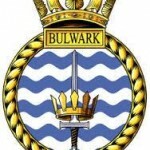 Just as a postscript, there was once a pub in South Street called The Bulwark; not the same ship, of course, but the name carried on, and a new HMS “Bulwark” was launched in 2001; she’s an ‘Albion’ class Amphibious Assault Ship, and is currently in service. Credits to original photographers.